The executives who fill management positions within the senior healthcare industry play a vital role in the way a facility functions.  At MedBest, we work tirelessly to ensure that we place the perfect candidate in each position based on their skill sets, qualifications, and personality to ensure long-term success. When searching for talent to fill a management role, we screen potential candidates for many different skills, personality factors, licenses and certifications to ensure that they will be able to lead in these critical positions. Careers in healthcare management present their own unique set of challenges and demands, making the finding of the perfect match that much more important for long-term success. No executive recruiting firm understands this more than MedBest. Remember we are executives placing executives. Your business has been our business for decades. A candidate could be the perfect fit for a position on paper, with all of the skills, licenses, and qualifications required – but personality can make or break a team culture. At MedBest, we understand that candidates are not two-dimensional figures that can be hired based on just facts and statistics, which is why we take the time to prescreen and thoroughly interview potential employees. In fact, because of our screening process, the average MedBest client will only conduct two interviews before making an offer. This not only saves you and your business money, but also valuable time. Our MedBest Advantage package is a twenty five-step process of research, recruitment, retention. Our MedBest Premium package encompasses Medbest Advantage but incorporates a science based personality DISC assessment. Matching candidates with a company’s culture, DISC has proved itself time and time again with a 92% retention rate when fully implemented. With over 80 combined years in the industry of long-term senior care and 15 years in the niche of healthcare recruiting, we understand how important it is to have the right team leading a healthcare facility. Let us match your organization with the perfect candidates.